Ben and Courtney are back in your ears after far too long, and are in Melbourne ready to tee up the first Grand Slam of 2018. On the women's side, we discuss the women who have surged to start the year (Halep, Kerber, Bencic...Giorgi?) and go through the draw thoroughly to find where openings might emerge. On the men's side, Rafael Nadal is a clear draw winner, but there still manage to be lots of exciting early round match-ups throughout. 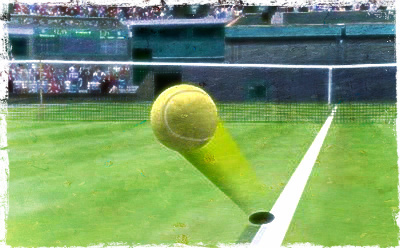 And is it Roger's to lose, or can 2,000 points go to Goffindor? As always, thanks for liking us on Facebook (leave comments on the episode thread! Engage with other listeners! ), following us on Twitter (discuss this episode with hashtag #NCRAusOpen! ), and subscribing/reviewing on iTunes on iTunes or whatever your podcasting app/platform of choice may be!